Taylor joined Watsi on November 14th, 2016. Two years ago, Taylor became the 2597th member to automatically support a new Watsi patient every month. Since then, 2,490 more people have become monthly donors! Taylor's most recent donation traveled 8,700 miles to support Arold, a boy from Tanzania, to fund orthopedic surgery. Taylor has funded healthcare for 31 patients in 10 countries. Anabel is a baby from Kenya. She lives with her two elder siblings and parents in the Nairobi suburbs. Anabel was born with spina bifida, a type of neural tube defect in which the spine does not properly close around the spinal cord. Without treatment, Anabel is at risk of lower-limb paralysis, infection of the exposed nervous tissue, development of tethered cord syndrome, and possible developmental delays. 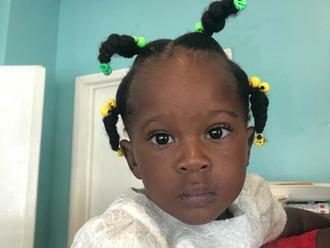 Our medical partner, African Mission Healthcare Foundation, is requesting $1,097 to cover the cost of Anabel's spina bifida closure surgery. The procedure is scheduled to take place on February 11. This procedure will hopefully spare Anabel from the risks associated with her condition, instead allowing her to grow and develop along a healthy trajectory. “I hope you can help us have her treated for spina bifida,” says Anabel’s mother. 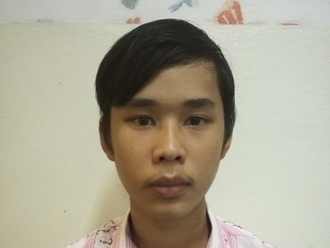 Piseth is an eight grade student from Cambodia. He has a sister and two brothers. He likes studying math and wants to go into construction work when he finishes school. He enjoys going for walks and listening to music. Two months ago, he was electrocuted by a wire while on a roof, and his hands and legs were badly burned. It is very painful and he cannot use his hands. When Piseth learned about our medical partner, Children's Surgical Centre, he traveled for two hours seeking treatment. On January 11, surgeons at CSC will perform a skin graft procedure to to heal his wounds. Now, Piseth needs help to fund this $440 procedure. He says, "I hope I won't be in any more pain after the surgery." Kampion is a farmer from Malawi. He lives with his wife, and together with their grown children they operate a small family farm. Kampion spends his days tending his land and raising chickens. In his free time, Kampion and his family like to attend their local church. Since April, Kampion has been experiencing pain and urinary difficulty. These symptoms are caused by an enlarged prostate, a condition called benign prostatic hyperplasia. He needs to undergo a prostate resection surgery, a procedure in which surgeons will remove part of the enlarged gland. 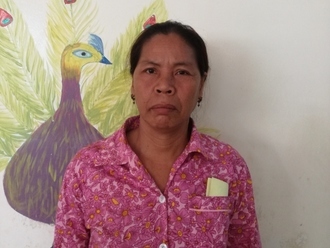 Our medical partner, World Altering Medicine, is requesting $733 to fund Kampion's surgery. On June 7, he will undergo prostate surgery at Nkhoma Hospital, our medical partner's care center. The requested money pays for supplies, medications, and two weeks of hospital stay. Kampion and his family were incredibly happy to learn his surgery would be funded, and he is looking forward to being more active. He says, "Thank you and bless you."